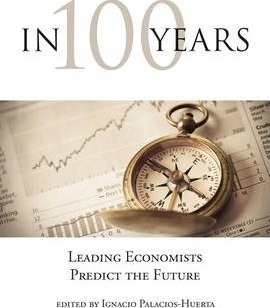 This pithy and engaging volume shows that economists may be better equipped to predict the future than science fiction writers. Economists' ideas, based on both theory and practice, reflect their knowledge of the laws of human interactions as well as years of experimentation and reflection. Although perhaps not as screenplay-ready as a work of fiction, these economists' predictions are ready for their close-ups. In this book, ten prominent economists -- including Nobel laureates and several likely laureates -- offer their ideas about the world of the twenty-second century. In scenarios that range from the optimistic to the guardedly gloomy, these thinkers consider such topics as the transformation of work and wages, the continuing increase in inequality, the economic rise of China and India, the endlessly repeating cycle of crisis and (projected) recovery, the benefits of technology, the economic consequences of political extremism, and the long-range effects of climate change. Ignacio Palacios-Huerta is Professor of Management and Strategy at the London School of Economics.